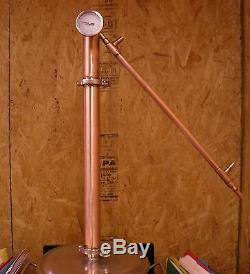 This 2" diameter x 28" tall Copper Reflux Column comes with a Dephlegmator (used to control proof), a 3/4" x 25" Liebig Condenser and a commercial grade thermometer with a 3 face. This also comes with the 2 tri clamp and gasket for attaching the column to your still or Sanke type beer keg. This column is a capable of distilling 130 to 180 Proof. You can make Fuel Ethanol with this column in one run. 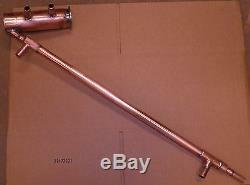 All of our copper heads and columns are TIG welded using food grade DHP copper welding rod. This means that the welds are as strong or stronger than the surrounding metal. This DHP copper rod melts at around 1,700° F, while the solder that our competitors use melts at around 400°F. Solder joints are not nearly as strong as our welds, plus solder is messy, runs and gets all over the metal, while our welds are tight, clean and pretty. 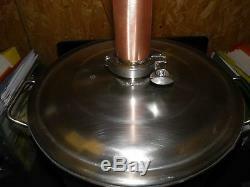 This copper pot still head has a 2 stainless tri clamp ferrule that will attach to a sanke type beer keg or any of our 3 to 8 gallon boilers. Comes complete with operating instructions. Commercial Grade Thermometer with a 3 Face. 2 Tri Clamp stainless ferrule connection welded to the base of the column for connecting to a still. 2 Tri Clamp with gasket for connecting the column to a still. 2" Tri Clamp Dephlegmator connection with 2" tri clamp and gasket. Two 5/8 Hose Barb connections on the Dephlegmator for cooling water. Two 5/8 Hose Barb connections on the Condenser for cooling water. Super heavy duty construction using food grade copper welding rod and heavy gauge copper. Enough copper packing to fill the column. The still boiler is not included. This is the column only. 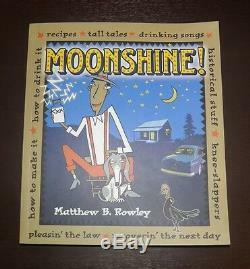 The item "2 Reflux Column, Distiller, 180 Proof, Moonshine, Copper Whiskey Column, withbook" is in sale since Friday, April 18, 2014. This item is in the category "Home & Garden\Food & Beverages\Beer & Wine Making". The seller is "affordable-distilling" and is located in Doniphan, Missouri. This item can be shipped to United States, Canada, United Kingdom, Denmark, Romania, Slovakia, Bulgaria, Czech republic, Finland, Hungary, Latvia, Lithuania, Malta, Estonia, Australia, Greece, Portugal, Cyprus, Slovenia, Japan, China, Sweden, South Korea, Indonesia, Taiwan, South africa, Thailand, Belgium, France, Hong Kong, Ireland, Netherlands, Poland, Spain, Italy, Germany, Austria, Israel, Mexico, New Zealand, Philippines, Singapore, Saudi arabia, Ukraine, United arab emirates, Qatar, Kuwait, Bahrain, Croatia, Malaysia, Brazil, Chile, Colombia, Costa rica, Panama, Trinidad and tobago, Guatemala, Honduras, Jamaica, Bahamas, Viet nam, Uruguay, Switzerland, Norway, Antigua and barbuda, Aruba, Belize, Grenada, Saint kitts and nevis, Saint lucia, Barbados, Bangladesh, Bermuda, Bolivia, Ecuador, Iceland, Jordan, Cambodia, Cayman islands, Liechtenstein, Sri lanka, Luxembourg, Macao, Martinique, Maldives, Nicaragua, Oman, Peru, Pakistan, Paraguay, Reunion.